Showing results by author "Clint Nelsen"
Startup Weekend - the organization behind 54-hour events where developers, designers, marketers, and startup enthusiasts come together to share ideas, form teams, build products, and create startups - has spawned both a global initiative in entrepreneurship as well as numerous successful startups. 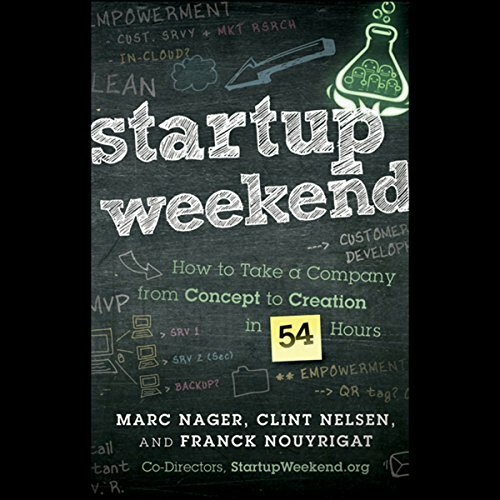 Startup Weekend the book, contains best practices, lessons learned, and empowering examples derived from the organization's experiences for individuals and small organizations to follow as they launch businesses. Each of the key beliefs outlined has been tested by Startup Weekend and has yielded powerful results.